I am honored to have been selected as one of 18 Western artists to join with 30 leading Egyptian artists in building bridges between faiths and cultures of the Middle East and the West through Art. 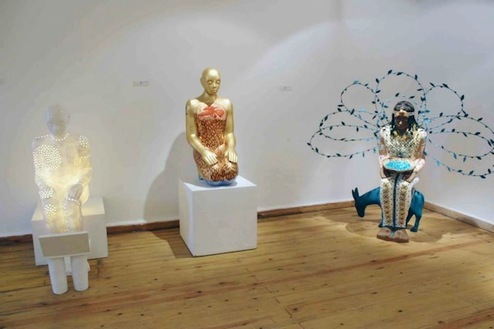 The 2014 CARAVAN exhibition will result in an unprecedented gathering of renowned Arab and Western artists coming together to use art as a bridge for intercultural and inter-religious dialogue. 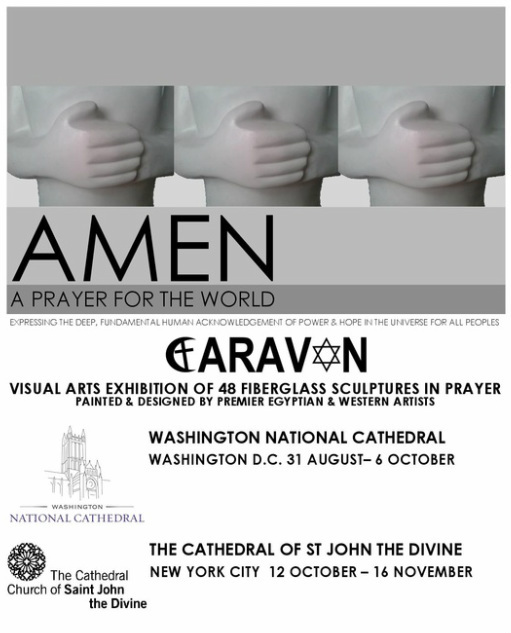 With the theme AMEN - A Prayer for the World, each participating artist received one of four life-sized fiberglass figures in prayer with which to create a personal expression of this year's theme. Prayer is dialogue. 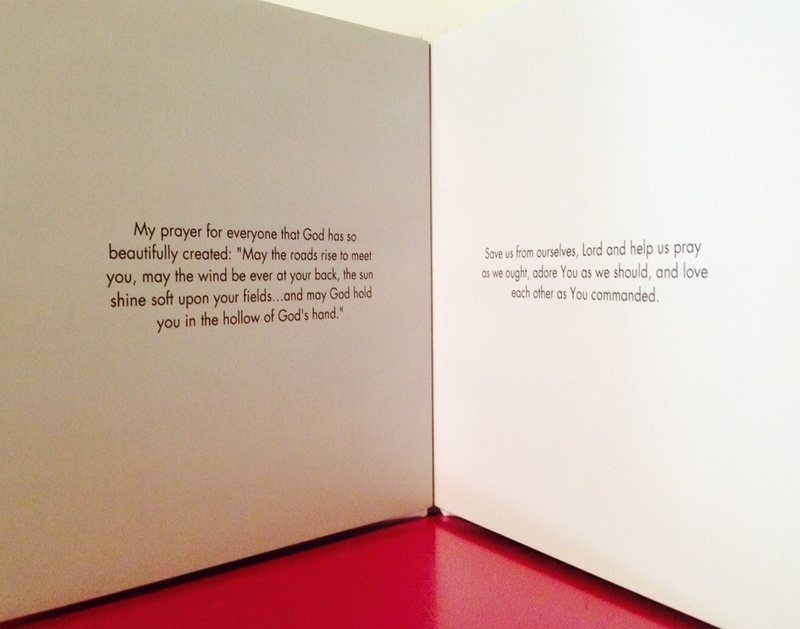 From the start of this project, I wanted to find a way to actively engage the public and provide the viewer with an opportunity for personal prayer. I chose an angel as my emissary as angels appear in the sacred texts of Christianity, Judaism and Islam as well as in ancient manuscripts that predate these texts. These winged creature ­straddle the celestial and earthly worlds acting as divine helpers, intermediaries, protectors, and messengers of God. 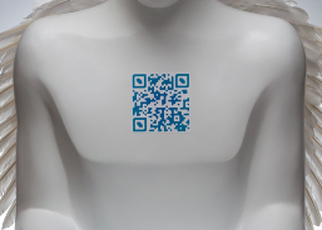 The QR code emblazoned on the angel’s chest bridges the spiritual world and the contemporary digital world. After scanning the code with our ubiquitous personal mobile devices, we can send a prayer for the world with the click of a finger. It is fitting that these digital prayers are then sent to the cloud for safe keeping. Please feel free to participate in this meaningful exhibition by going to the website www.virtualangel.weebly.com and sending your personal message to the world. 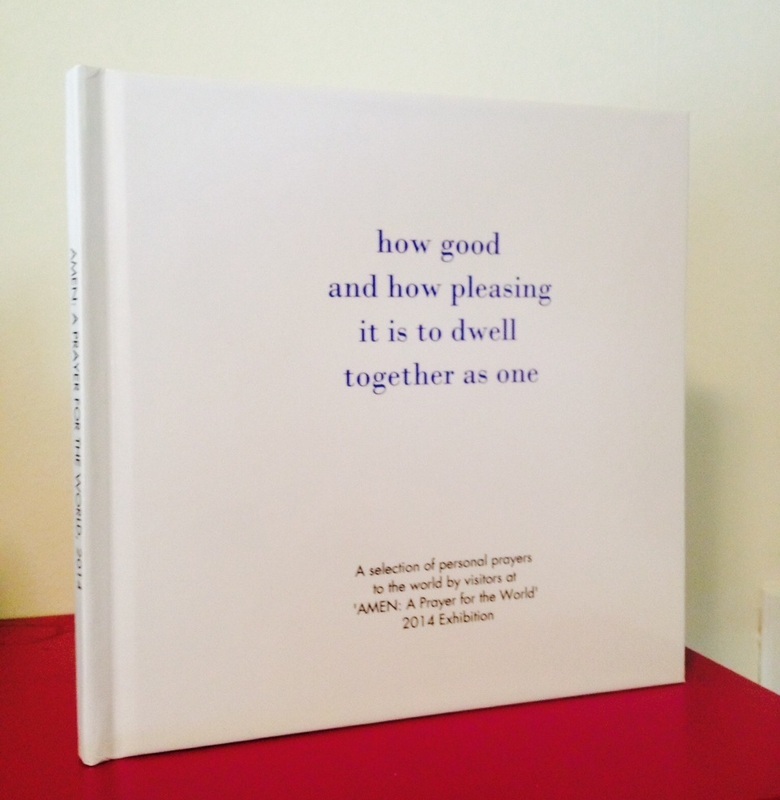 I HAVE COMPILED SOME OF THE BEAUTIFUL MESSAGES FROM VISITORS TO THE EXHIBITION IN A BOOK. FOR MORE INFORMATION CONTACT ME HERE. Hisham El Zeiny, Ahmed Abdel Karim and Reda Abdel Rahman. 2013 CARAVAN exhibition of donkeys by Egyptian and Western artists. The exhibit toured European cathedrals and was viewed by thousands.